Want an “unfair advantage” with your marketing? Would more, better-engaged traffic help grow your business? How to build a real, loyal audience of followers? Do you sometimes get overwhelmed by the thought of creating videos… but know it’s something you have to do if you really want to succeed? If so, then you’re going to LOVE the Videos Gamechanger Challenge that’s changing video marketing for good! What do all the entrepreneurs, sales pros, and business owners that’re killing it online have in common? They all do video marketing. Not just that, they do it strategically. From small, local businesses…all the way up to the giants. Me, personally? I have tens of millions of views on some of my videos…and others have completely bombed. It took me a long, long time to figure this out. I used to launch terrible videos and just try to see what would stick…and found myself feeling lost and overwhelmed! 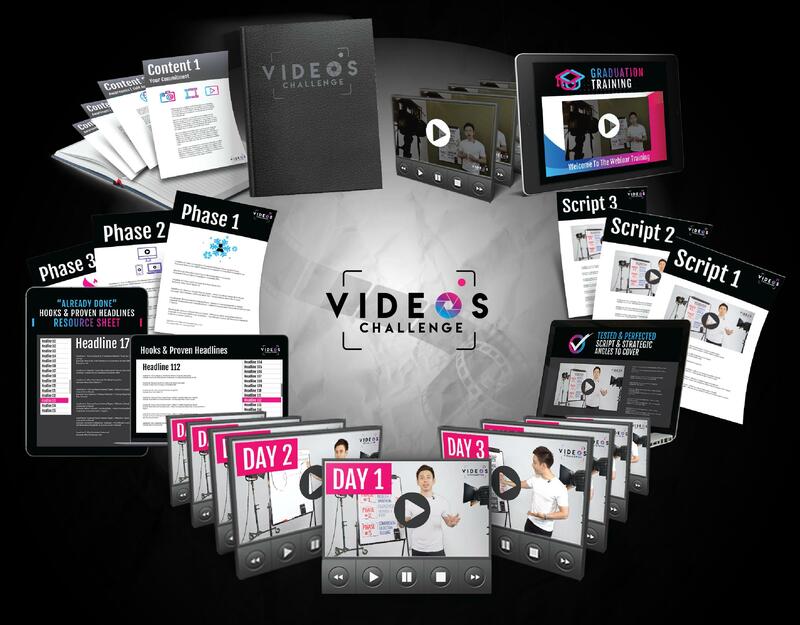 You’ll have 7 videos created per phase, 21 total videos done in just 21 days! In other words, instead of just cranking out videos for the sake of creating them, we’ll have the RIGHT message delivered at the RIGHT time! Once you join I’ll explain more about exactly what to say in your videos, how to monetise them [withOUT being salesy], and where to post them, and a lot more! Most courses out there you’d pay $2,000 or more don’t deliver even CLOSE to the no-nonsense value you’re about to get…for a FRACTION of that price!